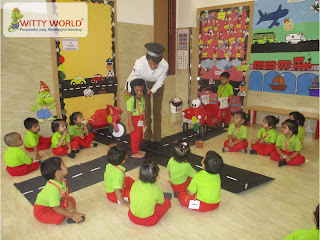 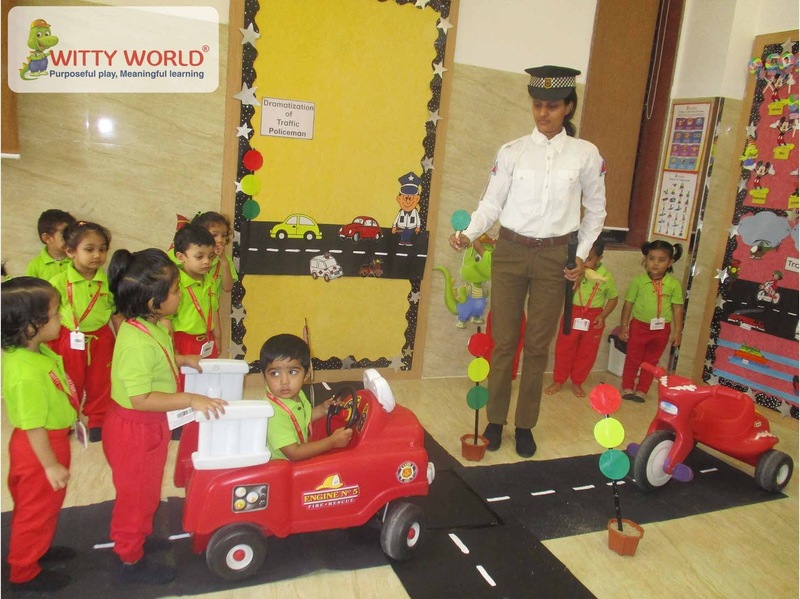 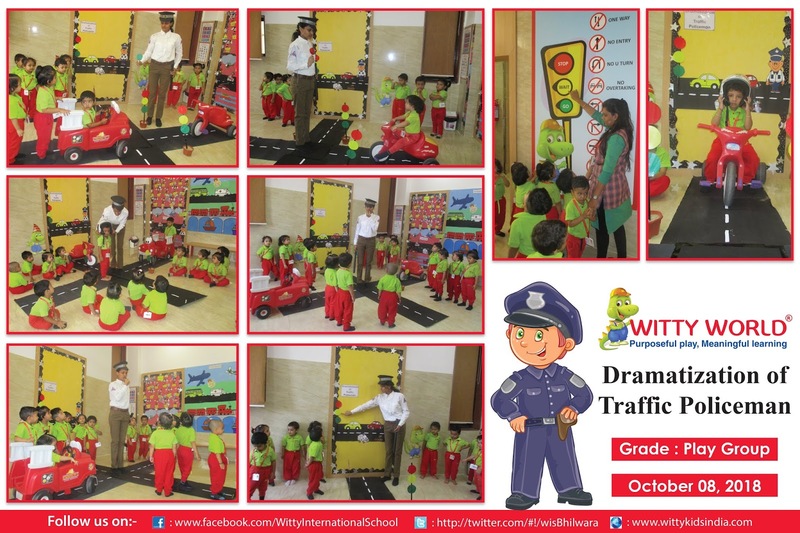 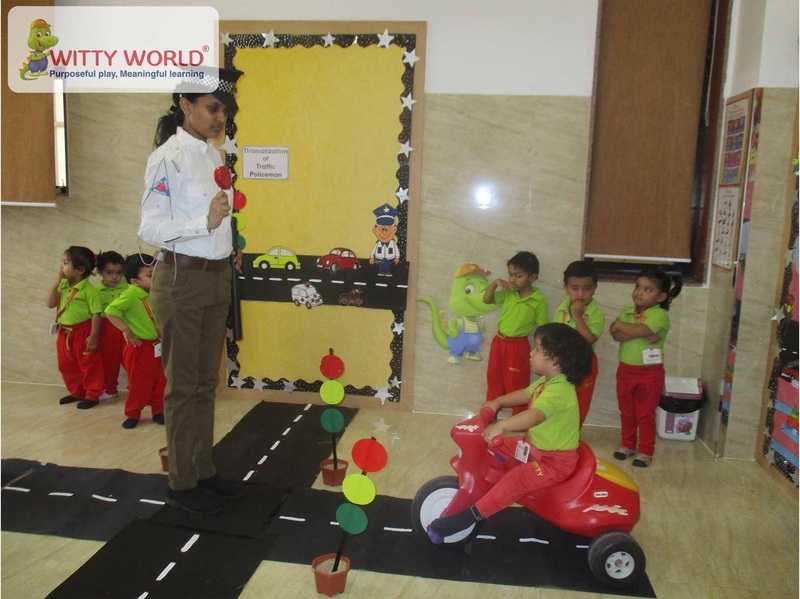 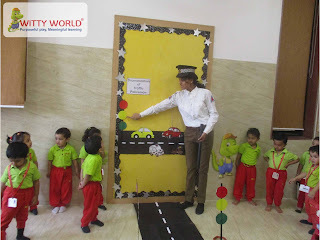 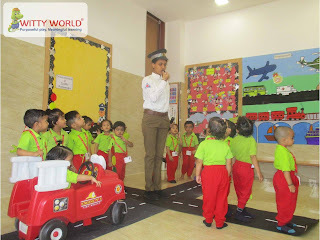 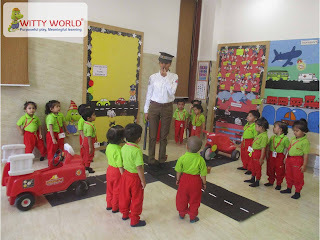 “Dramatization of traffic policeman” was held on Monday, 08 October, 2018 for kids of Playgroup at Witty World, Bhilwara. Teacher explained about traffic rules and safety. 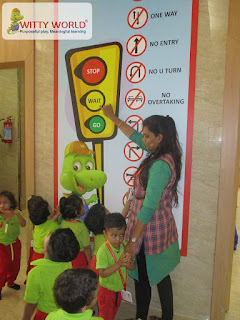 Teacher enacted like a traffic policeman and controlled the traffic. 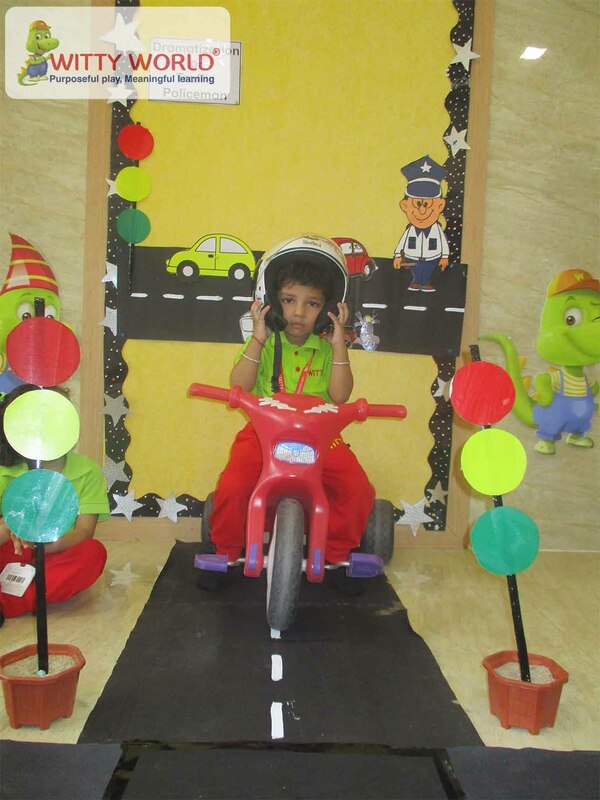 Through this concept children learnt traffic rules. This act will have a good impact on child’s thought process about rules and regulations.